Fun to use for small dashboards, card making, etc! 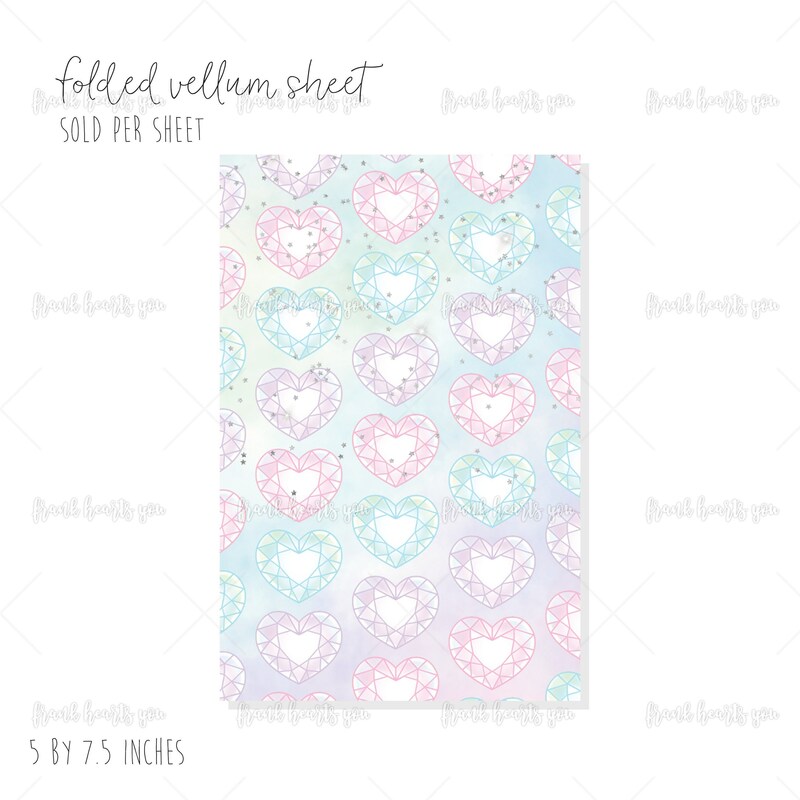 This listing is for one sheet of folded vellum - 5" by 7.5"
Very cute vellum! Goes with my Frank Hearts You journaling cards so well :) Thanks!